The city of Ur or Urim (modern Tell el-Mukayyar) was located close to Eridu, near the mouth of the Euphrates and Tigris, close to the Persian Gulf (which is now several kilometres further to the south due to silting). 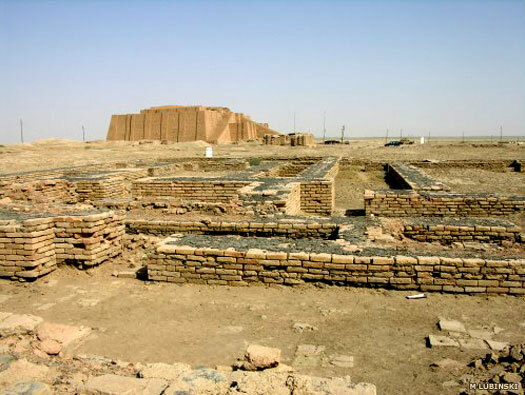 While it appears to have been inhabited in the earliest stages of village life in southern Mesopotamia (the Ubaid Period, to 3900 BC), it seems to have been abandoned for a time. However, by the Early Dynastic III Period (beginning circa 2600 BC) the small farming villages had consolidated into a thriving centre of industry. Ur was by this time considered sacred to the god Nanna, and was ruled by at least two pre-dynastic kings, whose names have been discovered on artefacts near their tombs and who are not present on the king list. According to the Sumerian king list, a total of twelve kings ruled for 396 years, three times (dynasties) in Ur. Here, List 1 is primarily used, backed up by List 2 and List 3 (see Sumer for details). 'Hero of the good land'. Not on the king list. m Ninbanda. The city of Adab is a subject state under the control of Ur. Because Mesilim of Kish is active in Adab at this time, perhaps Ur may also be a subject of Kish. 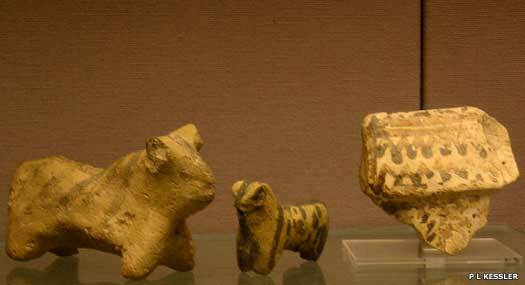 Pu-abi is a Semitic Akkadian (her Sumerian name is Shubad), showing just how culturally intermixed the Semitic Akkadians had become with the Sumerians. Her tomb later reveals her to be a priestess or queen (or both - very acceptable at this time). If she is the wife of a king of Ur, then which one isn't known. The tomb is in the Royal Cemetery, which serves to show later archaeological discovers Sumerian culture at its height. It also serves as a model for similar tombs in cities in northern Mesopotamia and Syria such as Tuttul. Not on the king list. The probable son of Meskalamdug establishes the kingdom, and according to the king list he gains the kingship from Uruk. Ur gained supremacy over the First Dynasty of Uruk. The first king of this dynasty, Mesannepadda, is identified by some as being the same person as Mesilim of Kish, who is strangely absent from the king list. despite clearly having been a figure of authority in the region. However, this raises the question of why the two cities were subsequently ruled separately. This is the third set of entries on the Sumerian list comprising kings 36-39. Four kings ruled for 177 / 171 years (Lists 1 & 2). Ruled for 80 years. Also known as A-ane-pada. Possibly the son of Meskalamdug (according to one artefact found at Ur), A-ane-pada lays the foundations for the Temple of Ninhursag. Son. Ruled for 36/30 years. Ruled for 36 years. Akshak was perhaps a vassal state. The kingship passes to Lagash (which is not mentioned on the king lists), along with control of Ur itself during the lifetime of Eannatum of Lagash. 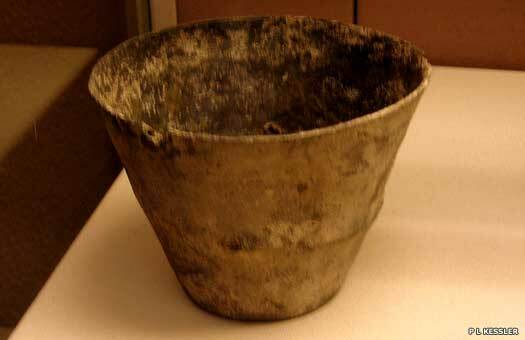 Ur regained the kingship from the Second Dynasty at Uruk. However, the city was largely eclipsed at this time by Akkad and very little is known of this dynasty of kings. They were probably tributary to Akkad, at least during the reign of Sargon and probably immediately afterwards, too. Extremely lacking in detail, this is the eighth set of entries on the Sumerian list comprising kings 55-58. Four kings ruled for (probably) 116 years (List 1), or three kings ruled for 582 / 578 years, or two kings ruled for 120 + X years (List 2), or four kings ruled for 108 years (List 3). Son. Ruled for ?/48 years. Ruled for ? years (not on all lists). Urim (Ur) is defeated and the kingship is carried off to Adab. The Third Dynasty was established by the former general, Ur-Nammu, replacing Uruk's final dynasty as the leading Sumerian power. It rose to control all of Mesopotamia, including the Assyrian city states to the north. Viewed as the 'last great Sumerian renaissance', the region was already becoming heavily settled by Amorites (Martu) who would found the city state of Isin in circa 2017 and who would later found Babylon. Although Ur re-established Sumerian as the primary language, it was already on the way to becoming a purely literary and liturgical language (just as Latin would later be in early modern Europe). Ur also traded with the Indus Valley peoples of India. Some sources name Ur-gur (or Ur-Engur) and Dungi, who both rebuilt Naram-Sin's temple work at Nippur, as kings of Ur in around 3000 BC, while also placing them as successors of Sargon and Naram-Sin of Agade. This places them at no earlier than circa 2200 BC and ties them in with the resurgence of Ur at this time. The probability is that they were in fact Ur-Nammu and Shulgi. This is the nineteenth set of entries on the Sumerian list comprising kings 120-124. Five kings ruled for 108 years (List 1), or four kings ruled for 108 years, or five kings ruled for 117 / 120 + X / 123 years (List 2). Ruled for 18 years. Founded the dynasty. Ur-Nammu subjugates the kings of Kisurra, although vassal kings are allowed to remain there. Ebla also falls under Ur's control. Son. Ruled for 48/46/48/58 years. Shulgi extends his father's empire to include all of the Assyrian city states and their at-present non-Assyrian neighbours such as the Lullubi. He also re-conquers Susa from Elam, and may be responsible for finishing off rebuilding work at Nippur. The vassal kings of Kisurra are removed entirely. In his twenty-sixth year, Shulgi attempts to forge an alliance between himself and the king of Marhashi, giving his daughter, Nialimmidashu, in marriage to the king. The Old Testament provides a list of descendants from Noah to Abraham, along with the ages of each descendant at the time his own son is born. While many of those ages seem plausible, the earliest do not. A rough calculation of about twenty to thirty years for each generation supplies an approximate date of 2090 BC for Noah. His Israelite descendants supposedly emigrate from Ur around 1750 BC, but while there is no confirmation either way that they have previously been long term residents of the city or its immediate environs, much of their story probably comes from this region (including the Biblical flood, which can be equated with the Sumerian Flood story). Son. Ruled for 9/25 years. 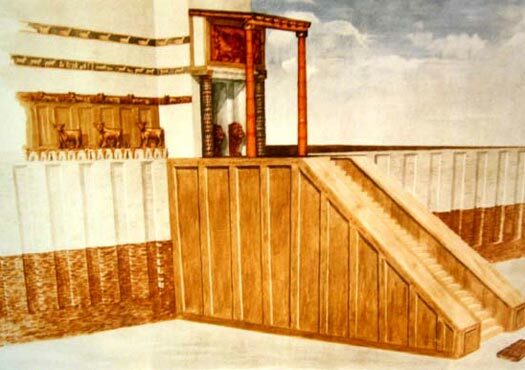 A great renovator of Sumer's ancient sites, Amar-Sin apparently works on the ziggurat at Eridu, although the city has to be abandoned during his reign. Hamazi also becomes part of Ur's empire at this time, while he has to campaign against Arwilukpi, the new king of Marhashi. Son. Ruled for 9/7/20+x/16 years. Shu-Sin gives a daughter in marriage to the Elamite prince of Anshan. Son. Ruled for 24/25/15/23? years. Captured by the Elamites. Eshnunna breaks away from Ur's control in the second year of Ibbi-Sin's reign, while it seems that Larsa follows suit in the following year, becoming at least semi-independent and forming its own line of kings. In Anatolia, it is likely that a trading colony is established at Kanesh. As with much of southern Mesopotamia, Ur is rapidly fading in power and influence as harvests fail and the population declines. One of Ibbi-Sin's officials takes the opportunity to move to the subject city of Isin and create his own city state: 'then Urim was defeated. The very foundation of Sumer was torn out. The kingship was taken to Isin'. The province of Hamazi is occupied and plundered by Isin as the empire collapses. The final king of Kisurra is removed. Kazallu is conquered by Isin. The waning Sumerian civilisation collapses when the Elamite king, Kindattu, together with the people of Susa, sacks Ur and captures Ibbi-Sin. The great brick mausoleums and temples of the third dynasty kings are destroyed and the king carried off into captivity. The Amorites began to fill the void left by Sumer's collapse by assuming control of former Sumerian cities such as Mari, and by establishing powerful centralised kingdoms such as Babylonia. The Assyrians also achieved temporary independence in Assur at the same time. Six years after Ur's conquest by Elam, the city was seized by the successor Amorite city state of Isin, which restored the temples, though Ur was no longer a capital city. The small city state of Kazallu in Akkad shares in the spoils of the victory. This is also the period in which the early Semitic Israelites supposedly became émigrés from southern Mesopotamia, after leaving the city of Ur during the reign of Hammurabi. If not so at the beginning, they soon became a confederation of tribes which initially settled on the coast of the Dead Sea to form one or more small kingdoms in Canaan. Ur is controlled by Isin, until the governor of Lagash (and Larsa) forms his own independent state in around 1920 BC, although the date is only a rough estimate. Larsa also seizes Ur and controls it directly. Governor of Lagash & Larsa. Seized Ur for Larsa. Ur remains controlled by Larsa, until, in circa 1763 the latter city is attacked and defeated by Hammurabi's Babylonian empire, handing all of its subject cities to the Babylonians. Perhaps not coincidentally, this is the dame period in which Terah leads his people out of Ur to settle in Harran, a city far up and to the east of the Euphrates, near the Hatti, where he dies. His son, Abraham, inherits the leadership, and continues the migration of his group into Canaan, where they settle as the early Israelites. New construction work is carried out at Ur under the rule of Nebuchadnezzar II of the Neo-Babylonian empire. The last Babylonian king, Nabonidus, also improves the ziggurat. However the city begins a decline from around 550 BC, possibly as a result of the Euphrates changing its course, and is abandoned after circa 500 BC, by which time the Achaemenid Persians are in control of Mesopotamia. It continues in use for some time as a necropolis. A record dated at 324 BC mentions it as being inhabited by Arabs, but by that time its existence as a great city had been forgotten. The site remains largely intact, in archaeological terms, being marked even today by the ruins of a ziggurat - a temple of Nanna, the moon deity in Sumerian mythology - and by a settlement mound.